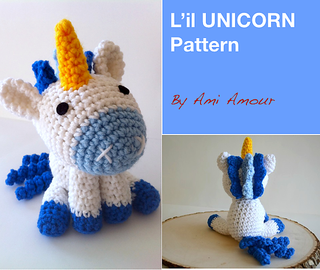 A wee l’il unicorn is here for your crochet pleasure! 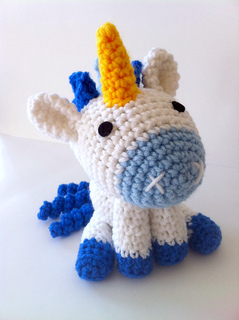 Finished size is approximately 7 inches tall, including the horn. 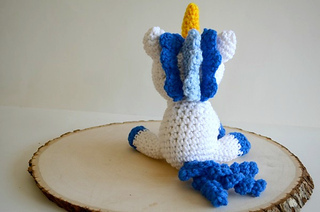 PDF is 4 pages long and includes plenty of photos to help you make everything from its lustrous mane to its curly tail. 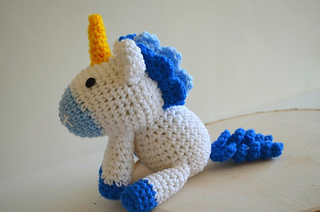 Make them in all sorts of colors for lots of unicorn magic! 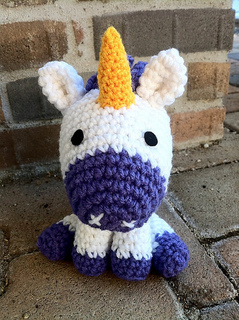 A fun and quick project for lovers of fantasy everywhere! Pattern support is always available!